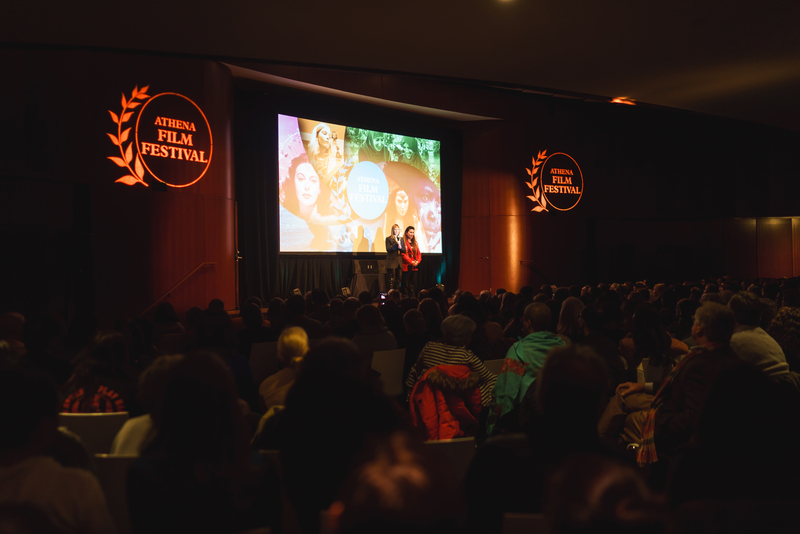 The audience awaits a screening of a film during the 2018 Athena Film Festival. The Athena Film Festival, Barnard’s annual festival highlighting women in film, announced its 2019 award winners on Thursday. Now in its ninth year, the festival was co-founded by Barnard’s Athena Center for Leadership Studies and Women and Hollywood, a website founded by Melissa Silverstein, School of the Arts ’93, to promote diversity in Hollywood. The festival will take place from February 28- March 3 and will screen films, host panels, and organize workshops that showcase women’s contributions to the entertainment industry. Nina Shaw, BC ’76, Law ’79, will be honored with the Athena Award for her work as a founding organizer in the Time’s Up movement. Time’s Up aims to protect women from sexual harassment and assault in the workplace, created largely as a response to sexual assault allegations against Harvey Weinstein. Shaw is also a founding partner of the entertainment law firm Del Shaw Moonves Tanaka Finkelstein & Lezcano, whose work has focused on representation and diversity in the entertainment industry. Last year’s Athena Award was given to BAFTA award winning director Amma Asante. Director, producer, writer, and actor Desiree Akhavan will be recognized with the Breakthrough Award. Her 2018 film, “The Miseducation of Cameron Post,” which she co-wrote and directed, will be screened at the festival on March 2. Akhavan will be the second winner of the Breakthrough Award, which last year was given to actress and cabaret artist Bridget Everett. The Leading Man award, which recognizes men in Hollywood who have served as advocates for women in film, will be awarded to Cameron Bailey. Bailey is the cohead of the Toronto International Film Festival, where he also serves as Artistic Director. Former Leading Man winners include director J.J. Abrams, actor and producer David Oyelowo, and director, actor, and producer Paul Feig.